Lottery Results The Champions League quarter-final brings together Ajax vs Juventus, Liverpool vs Porto, Tottenham Hotspur vs. Manchester City, and Manchester United vs Barcelona. Drawing of the quarterfinals will be held at Nyon, UEFA headquarters, on Friday (3/15/2019) at 12.00 CET or at 18.00 WIB. The lottery was immediately followed by drawing the semi-finals, so that the contestants knew the potential of the path to the final. Champions League quarterfinals will be played next month. 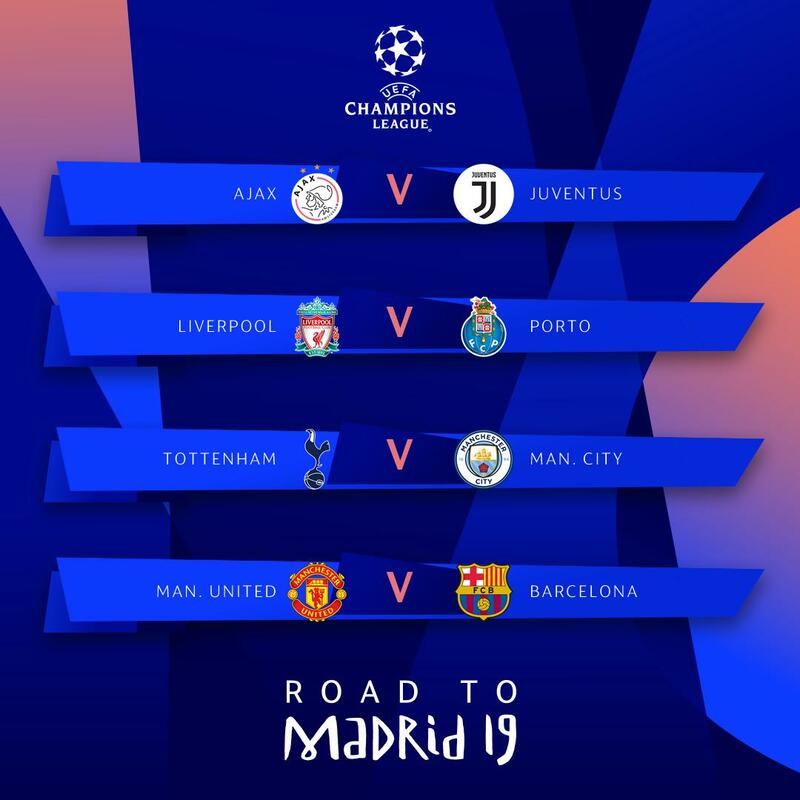 The first leg is scheduled for 9/10 April 2019, while the second leg is on 16/17 April. Meanwhile, the semi-final match will be held on April 30 / May 1 for the first leg, and the second leg on 7/8 May. The quarter-finals of the Europa League will be held on April 11 and 18. While the semifinal was held on May 2 and 9. The results of the semi-final draw, Tottenham v City winners will face Ajax vs Juventus winners. 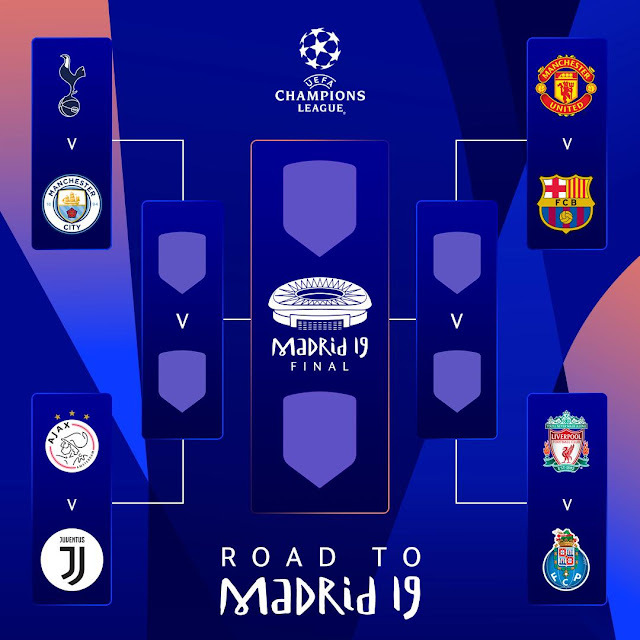 The winner of Barcelona vs MU will fight the Liverpool winner against Porto.